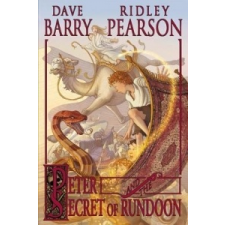 Van véleményed a Peter and the Secret of Rundoon – Dave Barry, Ridley Pearson, Greg Call termékről? Értékeld! Tedd fel kérdésed a(z) Peter and the Secret of Rundoon – Dave Barry, Ridley Pearson, Greg Call termékről!